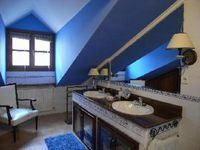 Property 11: Mendiola studio 2/4 pax in Gorosarri rural house. Property 13: Elai etxea (Apt. Añana) Ideal for groups of up to 9 people.